343.1 An even better day! My MT Super Scavengers are installed. It was easy. The hard part was removing the Super Comps. What a pain! And just like my original set of MT's, these needed a small dent at the steering box. 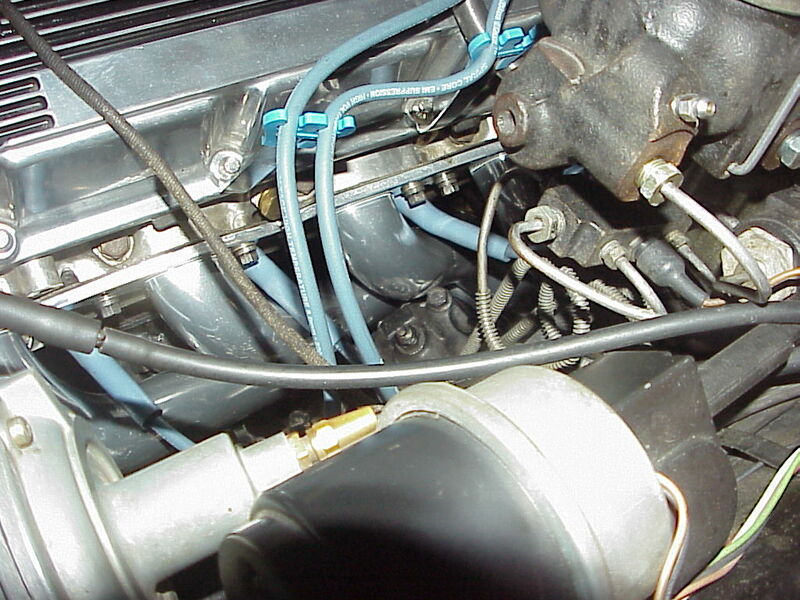 And look at spark plug access! Just as easy as cast iron manifolds.